1. Hi-Definition Chris Steeler defeated Bright Lights Jarrett Foster in a Submission Match. 2. IWF American Champion German Menace Kraig Stagg w/ Yours Truly Larry Lawson defeated Outlaw Shane O'Brien; Kasey Coresh w/ Joey Image; and Scrap Iron Joey Golden w/ Jana in a Fatal-Four-Way Elimination Match. 3. Roman defeated God's Gift Aaron Stride w/ Showtime Joshua Maddox. 4. The Master Frank Scoleri & Absolutely Edwin defeated IWF Tag Team Champions All-Star Austin Williams & Jersey Jewel Steven Sterling w/ The Gambler Mr. Casino to win the titles. 5. Kevin Knight w/ Mad Dawg Jenkins defeated IWF Heavyweight Champion Self-Made Travis Blake w/ Commissioner Rich Ross in the final IWF match. 1. Biggie Biggs w/ AJ Sparxx defeated Kasey Coresh. 2. The Master Frank Scoleri & Absolutely Edwin w/ Mic Time Mike Winner defeated Aramis LaPaz & Mo Taha. 3. Kevin Knight defeated God's Gift Aaron Stride in a No Disqualification Match. 4. Live Wire Donte Arcade w/ Jana defeated Scrap Iron Joey Golden. 5. Self-Made Travis Blake defeated Hi-Definition Chris Steeler; Bright Lights Jarrett Foster w/ Showtime Joshua Maddox; All-Star Austin Williams w/ The Gambler Mr. Casino; and Jersey Jewel Steven Sterling in the Tournament of Champions Fatal-Five-Way Elimination Match to win the vacant IWF Heavyweight Title. 1. Biggie Biggs defeated The Master Frank Scoleri w/ Mic Time Mike Winner. 2. All-Star Austin Williams & Jersey Jewel Steven Sterling w/ The Gambler Mr. Casino defeated IWF Tag Team Champions God's Gift Aaron Stride & Bright Lights Jarrett Foster w/ Showtime Joshua Maddox to win the titles. The guest referee was Scrap Iron Joey Golden. 3. 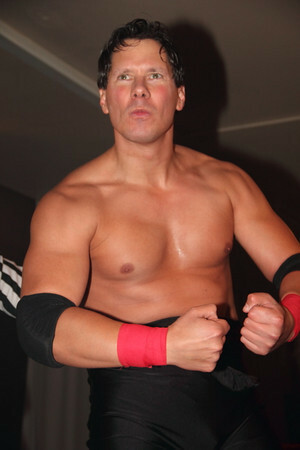 Kevin Knight defeated Absolutely Edwin. 4. Self-Made Travis Blake defeated Hi-Definition Chris Steeler in a Best 2-out-of-3 Falls Match. 5. IWF Heavyweight Champion & WWE Rookie Real Deal Flex Freeman defeated German Menace Kraig Stagg (IWF American Champion) w/ Yours Truly, Larry Lawson to retain IWF Title. This was Flex's final IWF match before leaving for WWE. 1. Jersey Jewel Steven Sterling defeated The Master Frank Scoleri. 2. Live Wire Donte Arcade defeated IWF Tag Team Champion Bright Lights Jarrett Foster by count-out. 3. Scrap Iron Joey Golden defeated Kasey Coresh via disqualification in a Taped-Fist Match. Jana served as Special Guest Referee. 4. All-Star Austin Williams w/ The Gambler Mr. Casino defeated IWF Tag Team Champion God's Gift Aaron Stride. 5. IWF Heavyweight Champion Real Deal Flex Freeman & Hi-Definition Chris Steeler w/ Kevin Knight defeated IWF American Champion German Menace Kraig Stagg & Self-Made Travis Blake & Absolutely Edwin w/ Yours Truly, Larry Lawson in a 3-on-2 Tag Team Match. 1. The Master Frank Scoleri defeated Jersey Jewel Steven Sterling. 2. Scrap Iron Joey Golden defeated Kasey Coresh. 3. IWF Tag Team Champions God's Gift Aaron Stride & Bright Lights Jarrett Foster defeated World-Class Karson Slade & Live Wire Donte Arcade to retain the titles. 4. All-Star Austin Williams defeated Absolutely Edwin w/ Yours Truly, Larry Lawson. The special guest referee was Jana. 5. 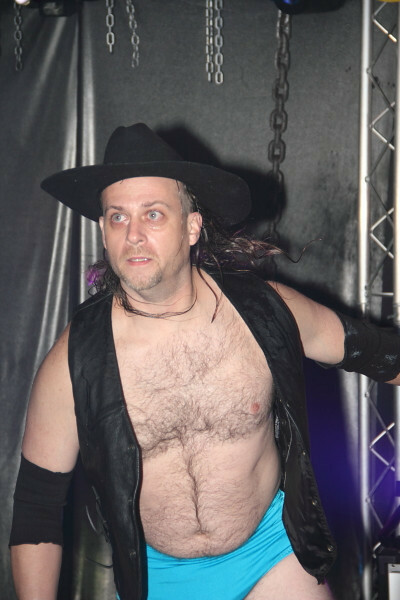 Self-Made Travis Blake defeated Hi-Definition Chris Steeler. 6. German Menace Kraig Stagg w/ Your Truly, Larry Lawson defeated IWF American Champion Real Deal Flex Freeman w/ Kevin Knight to win the title. 1. God's Gift Aaron Stride & Bright Lights Jarrett Foster defeated IWF Tag Team Champions World-Class Karson Slade & Live Wire Donte Arcade to win the titles. 2. Kasey Coresh defeated Scrap Iron Joey Golden. 3. German Menace Kraig Stagg w/ Your Truly, Larry Lawson defeated Steven Sterling. 4. Kevin Knight & Hi-Definition Chris Steeler defeated Self-Made Travis Blake & The Model Athlete Matt Walsh. 5. Absolutely Edwin w/ Yours Truly, Larry Lawson defeated All-Star Austin Williams. 6. IWF American Champion Real Deal Flex Freeman won a 16-Man Over-the-Top-Rope Battle Royal in a record 1-minute and 45-seconds to win the vacant IWF Heavyweight Title by eliminating all 15 other participants himself. The 6' 5", 310-lb, undefeated rookie is the only man to hold the IWF Heavyweight Title and IWF American Title simultaneously! 1. IWF Tag Team Champion Live Wire Donte Arcade defeated Absolutely Edwin w/ Yours Truly, Larry Lawson. 2. Self-Made Travis Blake defeated Scrap Iron Joey Golden. 3. German Menace Kraig Stagg w/ Yours Truly, Larry Lawson defeated IWF Tag Team Champion World-Class Karson Slade. 4. All-Star Austin Williams defeated Bright Lights Jarrett Foster. 5. God's Gift Aaron Stride defeated IWF Wrestling School Rookie Steven Sterling. 6. Commissioner's Cup Tag Team Tournament Final: IWF American Champion Real Deal Flex Freeman & Kevin Knight defeated IWF Heavyweight Champion The Mastodon Franciz & Hi-Definition Chris Steeler to win the 9th Annual Tournament. 1. First-Round: IWF Tag Team Champions Live Wire Donte Arcade & World-Class Karson Slade wrestled "Absolutely Menacing" German Menace Kraig Stagg & Absolutely Edwin w/ Yours Truly, Larry Lawson to a double count-out. Both teams were eliminated. 2. Non-Tournament: Self-Made Travis Blake defeated Jana in an Open Challenge Match. 3. First-Round: IWF Heavyweight Champion The Mastodon Franciz & Hi-Definition Chris Steeler defeated All-Star Austin Williams & Scrap Iron Joey Golden to advance to the finals June 25. 4. First-Round: IWF American Champion Real Deal Flex Freeman & Kevin Knight defeated "Glitz & Glamour" God's Gift Aaron Stride & Bright Lights Jarrett Foster to advance to the finals June 25. 1. Varsity Marc Corino defeated Bright Lights Jarrett Foster. 2. Scrap Iron Joey Golden defeated Absolutely Edwin w/ Yours Truly, Larry Lawson. 3. God’s Gift Aaron Stride defeated All-Star Austin Williams. 4. Hi-Definition Chris Steeler defeated Kevin Knight in a Best 2-out-of-3 Falls Match. 5. IWF Tag Team Champions Live Wire Donte Arcade & World-Class Karson Slade defeated 'The Imperial Dictatorship' Bruising Bookworm Frank Scoleri & German Menace Kraig Stagg w/ Yours Truly, Larry Lawson. 6. With Special Guest Referee WWE Legend Dr. Tom Prichard, Real Deal Flex Freeman (IWF American Champion) defeated The Mastodon Franciz (IWF Heavyweight Champion) w/ Richard Ross via disqualification. 1. Dangerous Danny E defeated Latin Lover Chachi w/ Jana. 2. IWF Tag Team Champions Live Wire Donte Arcade & World-Class Karson Slade defeated The Mastodon Franciz (IWF Heavyweight Champion) & Illusionist Damian Adams via disqualification to retain the titles. 3. IWF American Champion Real Deal Flex Freeman defeated Hi-Definition Chris Steeler to retain the title. 4. German Menace Kraig Stagg w/ Yours Truly, Larry Lawson & Bruising Bookworm Frank Scoleri defeated IWF Rookie Edwin Ortiz. Guest Referee was Scrap Iron Joey Golden. 5. Main Event Six-Man Tag Team Match: WWE Legend Bushwhacker Luke & All-Star Austin Williams & Varsity Marc Corino defeated God’s Gift Aaron Stride & Bright Lights Jarrett Foster & Self-Made Travis Blake. 1. 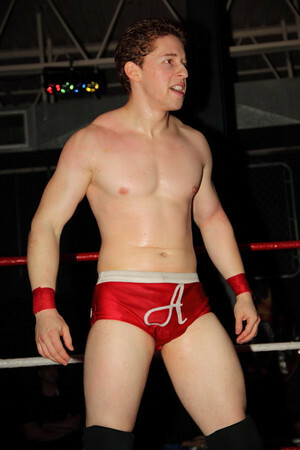 All-Star Austin Williams defeated God’s Gift Aaron Stride. 2. Live Wire Donte Arcade & World Class Karson Slade w/ Scrap Iron Joey Golden upset 'The Imperial Dictatorship‘ Bruising Bookworm Frank Scoleri & German Menace Kraig Stagg w/ Yours Truly Larry Lawson to win the IWF Tag Team Titles. 3. Bright Lights Jarrett Foster defeated Varsity Marc Corino. 4. Dangerous Danny E defeated Kevin Knight. 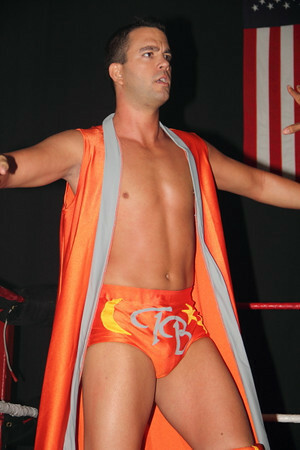 Travis Blake served as special guest referee. 5. IWF American Champion Real Deal Flex Freeman defeated Illusionist Damian Adams to retain the title. 6. Latin Lover Chachi w/ Jana defeated Lethal Injection Doctor Hurtz. 7. IWF Heavyweight Champion The Mastodon Franciz defeated Hi-Definition Chris Steeler to retain the title. 1. Latin Lover Chachi defeated Scrap Iron Joey Golden. 2. Jana defeated Yours Truly Larry Lawson in an Arm-Wrestling Challenge. 3. Live Wire Donte Arcade defeated IWF Tag Team Champion Bruising Bookworm Frank Scoleri of The Imperial Dictatorship. 4. ‘Glitz & Glamour’ - God’s Gift Aaron Stride & Bright Lights Jarrett Foster defeated ‘The First Team’ - All-Star Austin Williams & Varsity Marc Corino. 5. IWF Tag Team Champion German Menace Kraig Stagg of The Imperial Dictatorship defeated World Class Karson Slade. 6. IWF American Champion Real Deal Flex Freeman & Kevin Knight & Dangerous Danny E defeated IWF Heavyweight Champion The Mastodon Franciz & Hi-Definition Chris Steeler & Illusionist Damian Adams. 1. 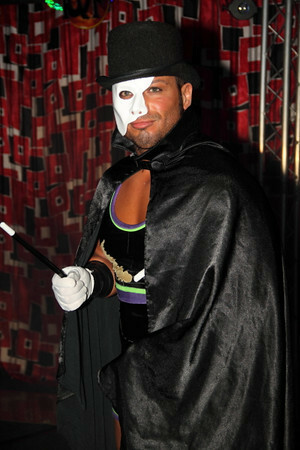 Illusionist Damian Adams defeated Latin Lover Chachi w/ Jana in #1 Contenders Bout for IWF American Title shot next month at Reckless Abandon. 2. IWF American Champion Real Deal Flex Freeman defeated former champion God's Gift Aaron Stride to retain the title. 3. Hi-Definition Chris Steeler defeated Kevin Knight in #1 Contenders Bout for IWF Heavyweight Title shot at next month's Reckless Abandon. 4. Varsity Marc Corino won a special Over-The-Top-Rope Battle Royal by last eliminating Yours Truly Larry Lawson. Additional participants were Bruising Bookworm, German Menace, Bright Lights Jarrett Foster, Live Wire Donte Arcade, World Class Karson Slade, Scrap Iron Joey Golden. 5. IWF Heavyweight Champion The Mastodon Franciz defeated Dangerous Danny E to retain the title. The special Guest Referee was All-Star Austin Williams. 1. Live Wire Donte Arcade defeated Bright Lights Jarrett Foster. 2. Real Deal Flex Freeman (IWF American Champion) defeated Bruising Bookworm Frank Scoleri of The Imperial Dictatorship (IWF Tag Team Champion) w/ Yours Truly, Larry Lawson and Illusionist Damian Adams in a Triple Threat Match. 3. 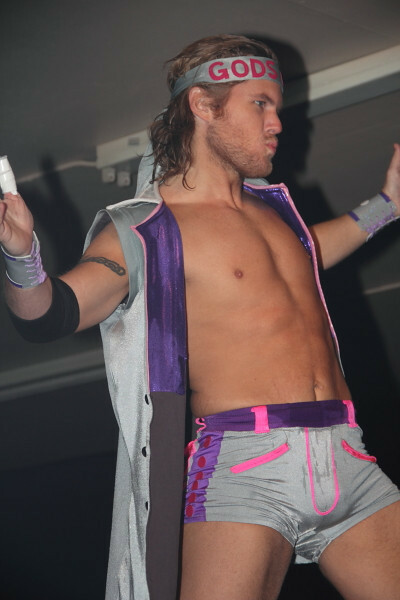 Kevin Knight defeated God's Gift Aaron Stride via disqualification. 4. Latin Lover Chachi w/ Jana defeated German Menace Kraig Stagg of The Imperial Dictatorship (IWF Tag Team Champion) w/ Yours Truly, Larry Lawson. 5. All-Star Austin Williams & World-Class Karson Slade w/ Showtime Joshua Maddox defeated The Mastodon Franciz (IWF Heavyweight Champion) & Hi-Definition Chris Steeler. 1. Live Wire Donte Arcade defeated Silent Storm Hush Holiday in first fall of Triple Threat Elimination. 2. God's Gift Aaron Stride defeated Live Wire Donte Arcade to win Triple Threat Elimination. 3. World-Class Karson Slade w/ Showtime Joshua Maddox defeated Hi-Definition Chris Steeler. 4. Kevin Knight defeated Scrap Iron Joey Golden. 5. 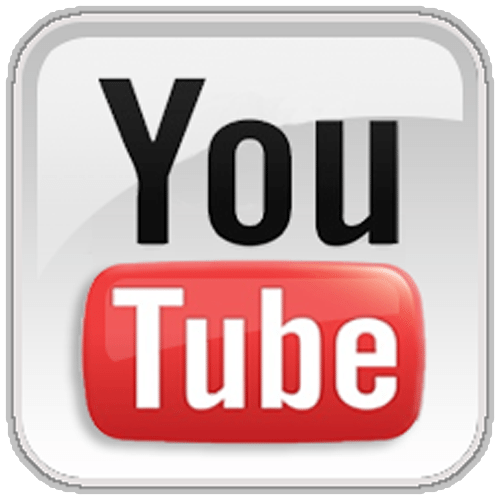 Illusionist Damian Adams defeated IWF American Champion Real Deal Flex Freeman via count-out. 6. IWF Heavyweight Champion The Mastodon Franciz defeated All-Star Austin Williams w/ Showtime Joshua Maddox to retain the title. 7. IWF Tag Team Champions "The Imperial Dictatorship" Bruising Bookworm Frank Scoleri & German Menace Kraig Stagg w/ Yours Truly Larry Lawson defeated "Sugar & Spice" Juicy Justin Corino & Latin Lover Chachi w/ Jana to retain the titles. 1. IWF Tag Team Champions The Imperial Dictatorship w/ Yours Truly Larry Lawson defeated Live Wire Donte Arcade & Silent Storm Hush Holiday. 2. God's Gift Aaron Stride defeated Karson Slade. 3. IWF Heavyweight Champion The Mastodon Franciz defeated Joey Golden. 4. IWF American Champion Real Deal Flex Freeman defeated Tommy Nero. 5. Latin Lover Chachi & Juicy Justin Corino defeated Live Wire Donte Arcade & Silent Storm Hush Holiday. 6. 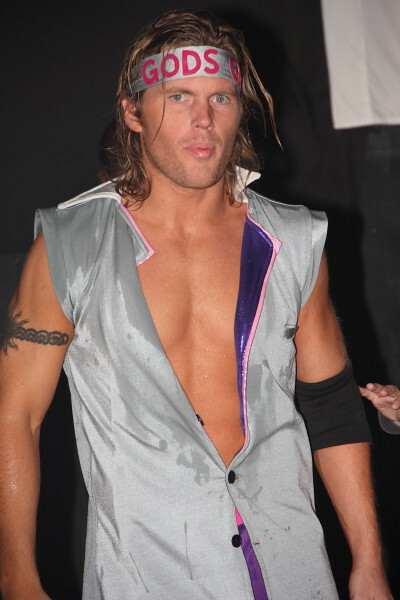 Illusionist Damian Adams defeated Joey Golden. 7. Hi-Definition Chris Steeler defeated Karson Slade. 8. All-Star Austin Williams w/ Showtime Joshua Maddox defeated Tommy Nero. 9. Main Event: Kevin Knight defeated Illusionist Damian Adams via DQ in a Lumberjack Match.